For applying chalks, we've used cotton swabs, sponge applicators, and alligator-clip holders with pom poms. They all work just fine, but this handy tool makes chalking a real pleasure! Depress the plunger, and fine metal prongs will extend from the tip to pick up any size pom pom. Release the plunger, and the prongs pull back to grab and hold the pom pom securely. 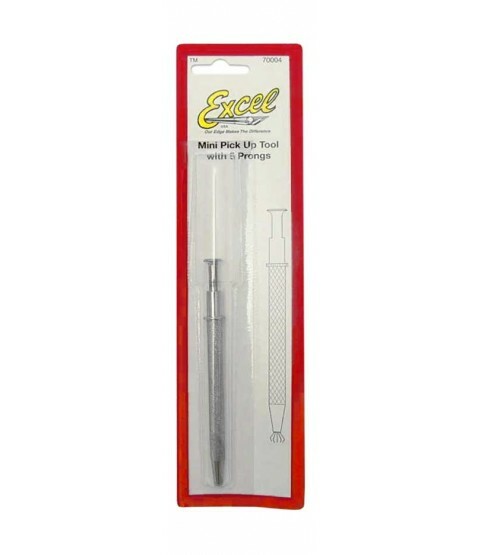 This allows you to hold the tool in your hand like a pencil or pen…what could be simpler?